MNG Maritime are able to offer training on both of our Vessel Based Armouries, supporting our clients’ needs in meeting the standards required by ISO 28007. Training is delivered by our own ex-UK Royal Marines Platoons Weapons Instructors Class 1 (PW1) to MSOs preparing to deploy onto client platforms. Maritime Firearms Competency course – includes weapon handling tests and live firing. MNG Maritime or client’s weapons and ammunition may be used. 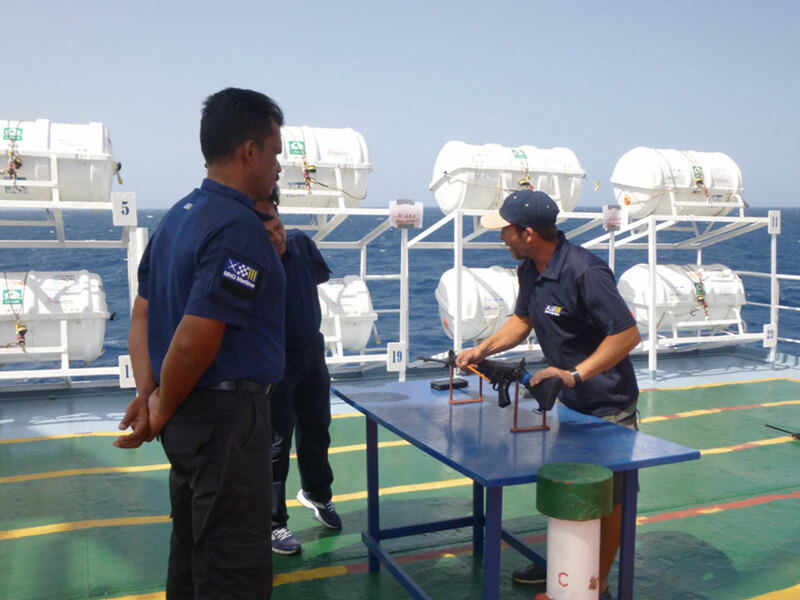 Private Maritime Security Company (PMSC) familiarisation – tailored to the individual PMSC’s Standard Operating Procedures (SOPs) and drills.